These ants coloring printables have cute cartoon ants as well as realistic looking ants. Kids can color these for fun or teachers can use them as part of learning all about ants. These pesty little guys are hard at work gathering food, showing off their strength and just hanging out at the ant hill. To find the ants coloring picture you want just scroll through this page. There are 2 separate groupings of these ants. The first are the cartoon characters of ants and below these are the realistic looking ants. So print off some just for coloring fun or use them as part of your learning all about ants. Once you find the picture you want click on it to open the larger printable coloring page in a new window/tab. Then use your browser's print functions. Once it's printed close out that window/tab and return here to select even more. This section of ants coloring printables are all our cute cartoon characters. There are ants busy at work, showing off their strength and just hanging around to say hello. Ants may be tiny but they are strong. In fact, they can lift 20 times their own body weight. That would be like a 40 pound child lifting an 800 pound boulder - that's a lot of weight. This section of ants coloring pages are the realistic looking ants. If you are learning all about ants in school then these will be a good page to color as part of your learning. See if you can identify which species of ants these are. Here's a really neat video on how to build your own ant farm. This way you can watch and learn all about the ants in your farm. 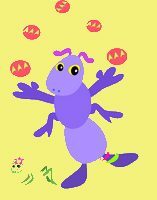 In addition to these ants coloring printables try this ant you color online. For even more insects and bugs to color, use these links for more printable coloring pages. Here's a fun kids craft from our sister site on how to make an ant hill. Visit our sister site for more kids fun! Where a child can set their imagination free!